As is known to all, oil and gas are both scarce and precious natural resources, which place a critical role in every country's industry production, daily life and other aspects. They present some obvious characteristics: one is that their distribution is uneven. Specially speaking, more than half of the global proven oil and gas distribute in the middle east, then in North America, central and south America, Russia, Africa, South America and other areas. Another feature is that their reserve-production ratio is reducing. Components of oil and gas are various, complicated and unique. From their development moment to the time of finish products, the original articles experienced long-term and complex treatment. The more complex of the production process, the greater the chance of been polluted for oil and gas. In addition, oil and gas resources are limited and the whole society advocate building a resource-conserving society. All of these elements make filtration and separation critical and essential steps during oil and gas production process. 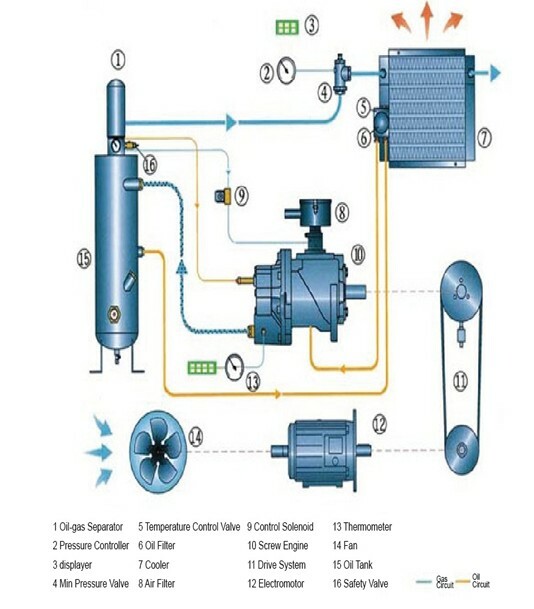 Then filtration and purification products become necessities for oil and gas industries. Black Powder is a typical contaminant in transmission pipelines. It is known for being detrimental to pipeline equipment and for causing operation and maintenance issues. A high-performance, properly designed filter is an efficient and cost-effective solution to enhance the reliability of pipeline operation. Other separation technologies can also be considered to remove liquid water from pipelines, as a means to remove one source of the formation of Black Powder. Gas is an efficient & readily available fuel used for a numbers of applications. Gas Turbines rely on clean gas for the powering platforms, pumps stations and other large users of electricity. Consumers rely on clean gas for heating. Filtration and separation is used extensively in oil and gas processing applications to achieve final purity objectives, improve production yields, and protect valuable equipment and lower production costs. 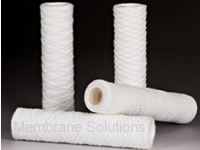 Membrane solutions is the leading global provider of filtration, purification and separation products and technologies to the diverse and rapidly expanding chemical and fuels market. 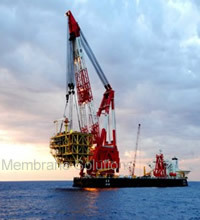 For many years, we have been a major equipment supplier to both onshore and offshore oil and gas companies. Our products have been designed to meet your requirements for separation efficiency, reliability, economy, and size. 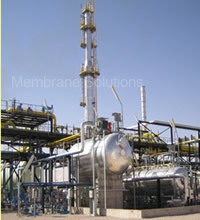 Membrane solutions has filtration and separation solutions to meet your increasing production and processing needs. 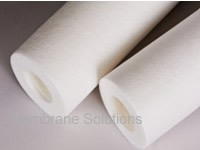 Membrane Solutions can help you achieve the process improvements and cost savings. We provide valuable products and solutions for all our customers. 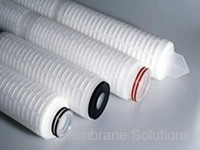 Find out why the world's most successful companies turn to Membrane Solutions to help them achieve their most challenging goals, whether you are looking for materials to serve a specific purpose or industry or if you are trying to identify what materials may be best in a new application, Membrane Solutions has products which prove to be an excellent choice in meeting and exceeding your requirements. MS ® string wound cartridge filter is a kind of deep filter cartridge, which is made of the textile fabric string (polypropylene, absorbent cotton and so on) preciously winding onto the multi hole axies according to the specific technology. The typical honeycomb structure of the filter body gives it a considerable capacity for accumulating impurities present in the fluid being filtered.